Pre-order now! Copies will ship in mid-August. Due to limited stock, one copy allowed per purchase. 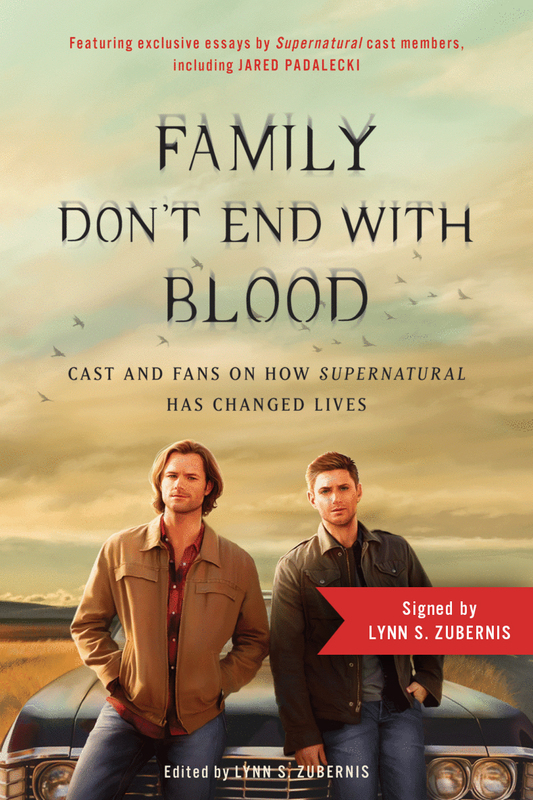 In 25 powerful chapters written by Supernatural’s actors and fans, including series lead Jared Padalecki, Family Don’t End with Blood: How Supernatural Has Changed Lives examines the far reach of the show’s impact over the last 12 years. Supernatural has encouraged fans to change their lives, from getting “sober for Sam” to escaping a cult to pursuing lifelong dreams. But fans aren’t the only ones who have been changed. The actors who bring the show to life have also found, in the show and its community, inspiration, courage, and the strength to keep going when life seemed too hard. Signed by Editor Lynn S. Zubernis — NOTE: This offer is available ONLY to attendees of a convention who were unable to purchase the book on site due to a sell out. Please do not share this link with anyone not at the convention. Thank you! In 25 powerful chapters written by Supernatural’s actors and fans, including series lead Jared Padalecki, Family Don’t End with Blood: How Supernatural Has Changed Lives examines the far reach of the show’s impact over the last 12 years. Supernatural has inspired fans to change their lives, from getting “sober for Sam” to escaping a cult to pursuing lifelong dreams. But fans aren’t the only ones who have been changed. The actors who bring the show to life have also found, in the show and its community, inspiration, courage, and the strength to keep going when life seemed too hard. In keeping with the show’s message to “always keep fighting,” and to support the important work of combatting stigma and encouraging those who are struggling to speak out, a portion of the proceeds from the book will be donated to charities Attitudes in Reverse, whose mission is to educate young people about mental health and suicide prevention, and Random Acts, a nonprofit dedicated to acts of kindness worldwide. 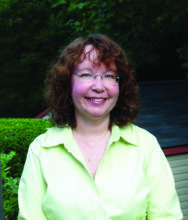 Dr. Lynn Zubernis is a clinical psychologist, a mom of two, a university professor—and a passionate fangirl. She fell in love with the television show Supernatural, discovered the wild and wonderful world of fandom, and has never looked back. Her writing celebrates all the positive things that come with being a fan—inspiration, creativity, self-expression, validation, and a support system that extends across the globe. She has written for publications including Slate, The Conversation, and Supernatural Magazine about fandom, chairs the stardom and fandom area of the Southwest Popular Culture Association, and has contributed to many articles, podcasts, and documentaries on fandom—including NPR’s piece on Supernatural. She cowrote and was associate producer for the upcoming documentary Squee! The Fangirl Documentary and blogs at fangasmthebook on WordPress. That’s her academic half; the fangirl half writes fanfiction whenever she can, braves the lines at Comic-Con, collects Supernatural gifs on Tumblr (yes, we have a gif for everything), and has purchased way too many photo ops at Supernatural conventions.